1. Cut the stems off from each leaf and stack them together. 2. 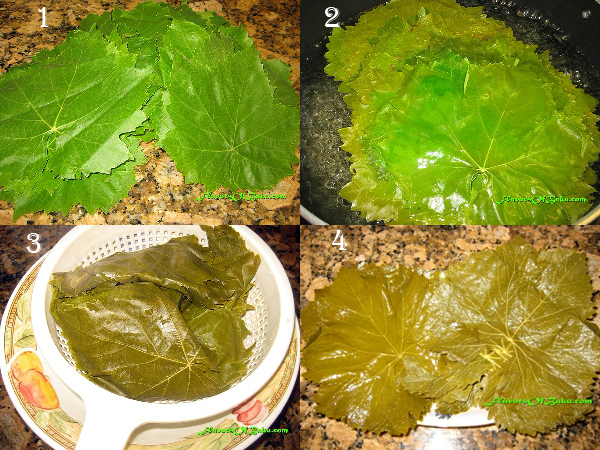 If you’re using fresh grape leaves, blanch them in hot water for a few minutes. 3. If you’re using preserved leaves – just put them in a colander and rinse under warm water and drain. 4. 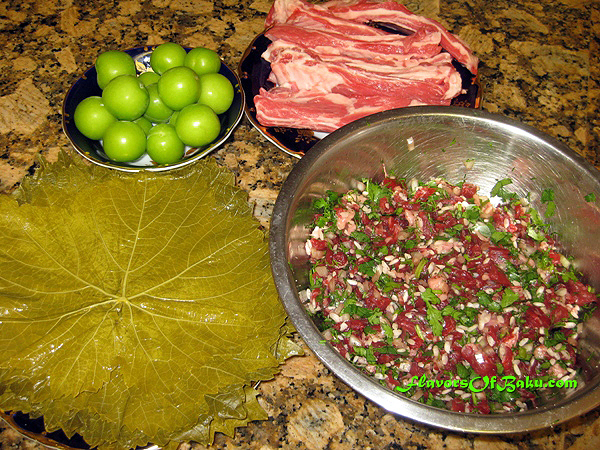 Stack leaves on top of one another, preparing for making dolma. Cut the meat into very small pieces (as small as you can). Wash, dry, and chop up the herbs. Mix together the meat, onion, herbs, and washed rice in a large bowl and season with salt and pepper. 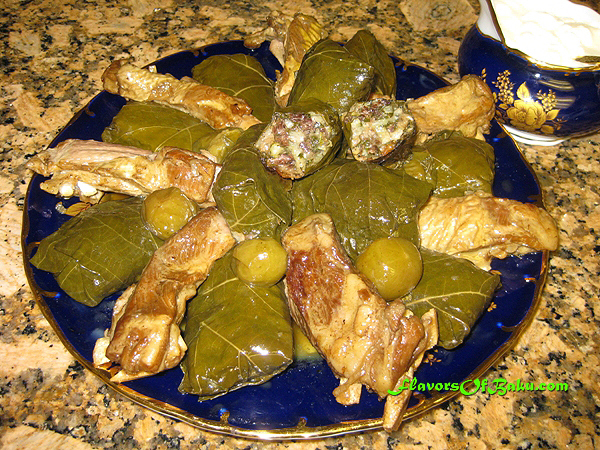 Line the bottom of a saucepan with leaves and set some aside to cover the dolma while they’re cooking. 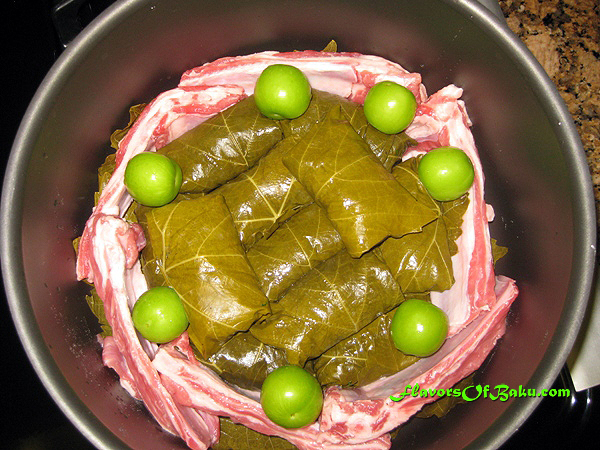 On the side that isn’t shiny of each leave place about a tablespoon of meat filling and fold it tightly. 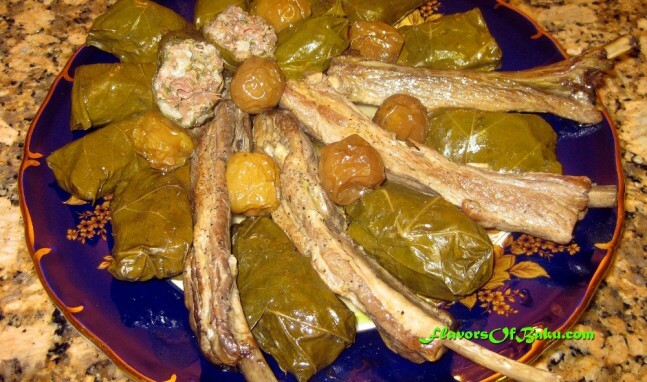 Place each dolma in the saucepan as close as possible to each other. Spread around lamb riblets (season them with salt and pepper to your taste) and sour plums as well. Serve hot with riblets and sour plums.